After 300 years of slumber, three sister witches are accidentally resurrected in Salem on Halloween night, and it us up to three kids and their newfound feline friend to put an end to the witches reign of terror once and for all. A kid breaks his arm and as it mends he finds out that he has a stronger arm for throwing than before he broke it. The Chicago Cubs find out and sign the kid to pitch for them. A group of snowmobilers become trapped on a lake, and hole up in an abandoned camp. What they don't know is that the camp was once used by a satanic cult for its rituals, and is still infested by demons, who begin to kill off the group. 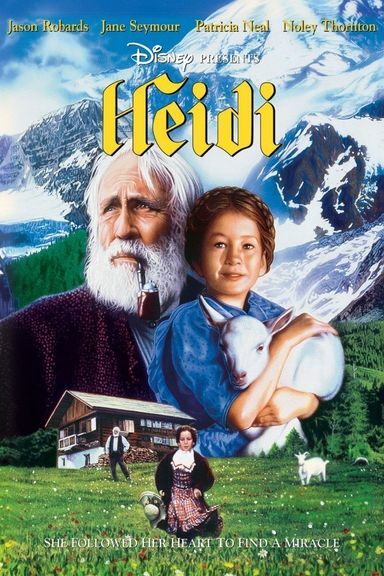 An orphan (Noley Thornton) lives with her grandfather (Jason Robards) in the Swiss Alps, then goes to live with a well-to-do family in Frankfurt.